D’Ran skincare has been my go-to product this summer since they were kind enough to send me a goodie box of their products to try. I am putting every product to the test then laying out my honest opinions to my lovely readers. If you’re a new reader then FYI: I’m an honest person and will tell you how it is whether it is good or bad. I won’t lead you astray or share something I don’t personally love and use. When a company does it right, and makes a good product, I can’t help but share them with the world (my friends can attest: I’m always recommending things to buy in my personal life). Yes, this is sponsored. Yes, I still love their products. Yes, I’ll buy them again. If you’ve been following me for a while, you know I loved the results from the Oh Beau serum and Tea Tree series. 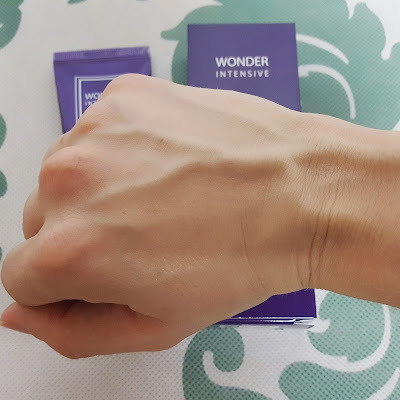 I tried the Joyoon series, filled with herbal ingredients, but it wasn’t my favorite as it contained parabens. This summer I brought 2 BB creams with me while I travel, one of them being the Wonder Intensive BB Cream from D’Ran in #23 medium beige. 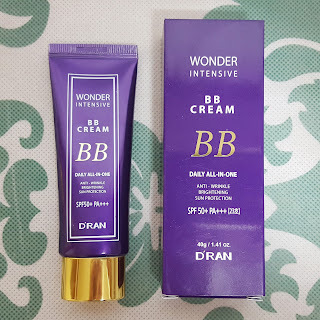 This is one BB cream that I love wearing everyday. I will take a multi-function product any day, so this tube has been working overtime this summer. It contains SPF50+ PA+++. What does THAT mean?! SPF stands for Sun Protection Factor and expresses how well the product can protect against UVB rays (the sunburn ray). 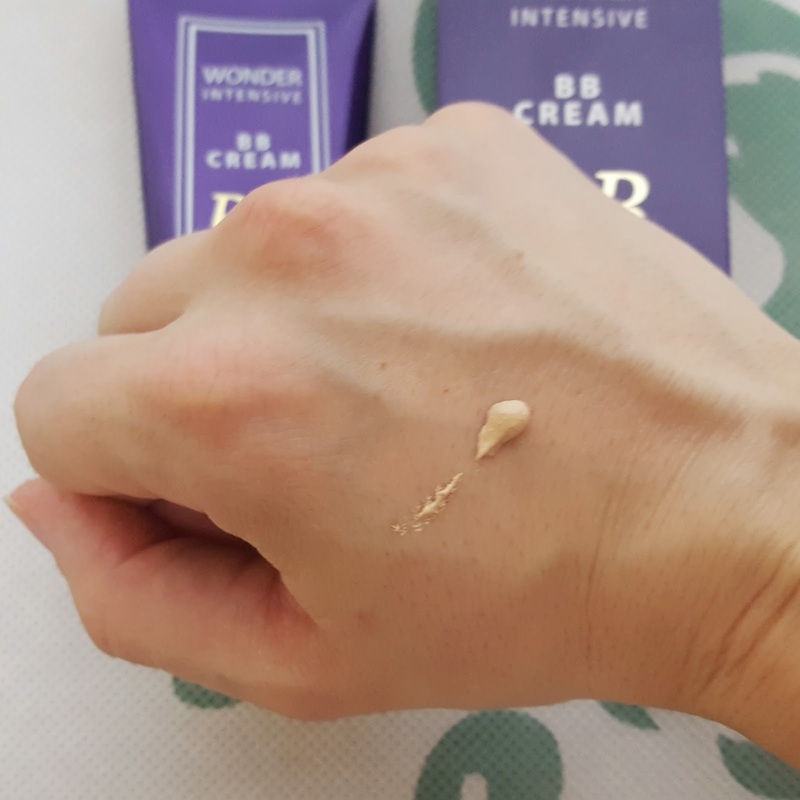 Essentially the SPF will show how much time you’ll be able to withstand exposure to the sun before burning. 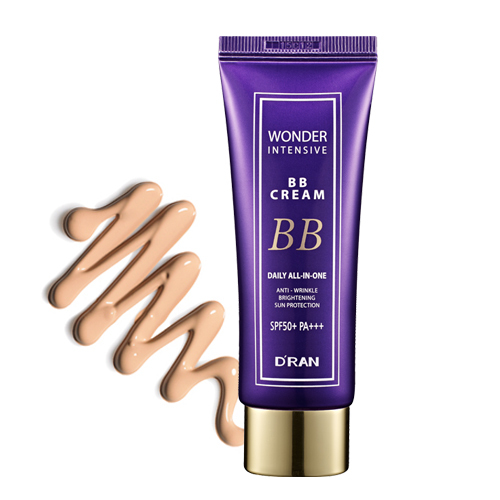 Personally, I don’t rely too much on SPF as it can deceive you to applying only one time during the day. High SPF, oh I only need to use it once. False. It breaks down throughout the day so keep reapplying if you are using a product strictly for sun protection. PA stands for the Protection Grade of UVA which shows how protected we are from UVA rays (the aging ray) while using the product. PA+ means there is some protection, not great though; PA++ has moderate protection; PA+++ shows very good protection against UVA aging rays. UVA can cause long term skin damage so make sure your face sunscreen products contain a PA+++ as well as a good SPF. Thus, this specific BB cream (and many that I’ve seen in Korea) have PA+++. 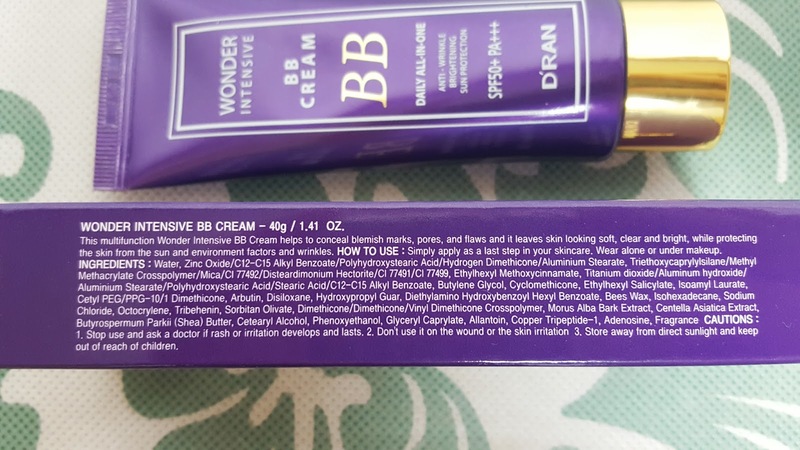 It also contains titanium dioxide and zinc oxide as the active sunscreen ingredients, as well as adenosine to help with anti-aging and anti-inflammation for skin protection. Allantoin also helps with skin rejuvenation and retaining moisture. The color blends beautifully into my skin (I’m light/medium NC25 skincolor). 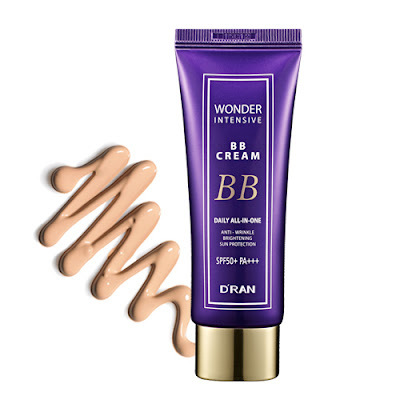 I would highly recommend this BB cream for anyone looking for light coverage and added skincare benefits. Oooohhh. Aaahhhh. It blends so nicely. Set it with a little powder to beat the humidity and you’re set for the day. They are available for purchase online or at a few department store locations and Incheon Duty Free. Check out their full store locations at the end of this post. They are in the process of getting distribution in the US so I’ll keep you updated once that launches. Have you tried them yet? Tag me on Instagram @7seasonsstyle to be featured!